Software: NetEnt, Quickspin, Endorphina, Booongo, Betsoft, Yggdrasil, Playson, and Microgaming. 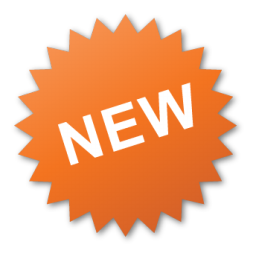 Games Available: Over 700 games, including: Video slots, Video poker, Blackjack, Roulette, and Classic slots. Frank Casino is an online NetEnt casino that promises super-fast registration times so that players can get down to the serious business of entertainment. All players are assigned a different account status, depending on how often they make a deposit and play. These levels include: Beginner, Regular, VIP-Silver, VIP-Gold, VIP-Platinum, and ultimately, Dark Knight. Players reach VIP levels when they deposit and play more frequently, and when you reach these levels, you can enjoy some VIP treatment with earning extra points, getting additional free spins, and also getting bigger bonuses. Frank Casino is owned and operated by Sunlet Services Ltd and is licensed in Curacao. Sunlet Services Ltd also owns other casinos in their group, which include: Drift Casino, and SlotV Casino. Frank Casino has the industry’s top games from popular brands such as: NetEnt, Quickspin, Endorphina, Booongo, Betsoft, Yggdrasil, Playson, and Microgaming. All games are in instant play mode, no downloading of software is required. Has many popular slots from NetEnt and Microgaming. 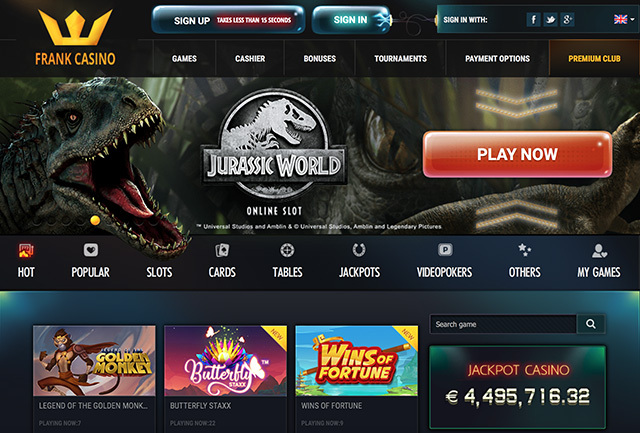 New players at Frank Casino can enjoy a 100% bonus up to €200 by depositing €50. 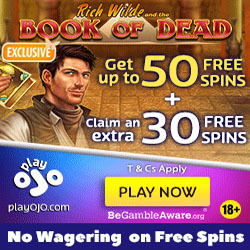 Players can also choose to receive 175 Free Spins with their first deposit. 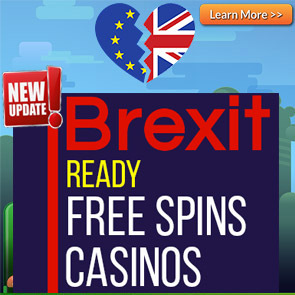 Free spins are valid for 24 hours after they have been activated. *Make sure that you confirm your mobile phone number and email address on sign up. The wagering requirement is 35 times (deposit + bonus) for the welcome bonus. Paysafecard, Visa Electron, Visa, Przelewy24, Bank Wire Transfer, POLi, GiroPay, EPS, Maestro, MasterCard, Neteller, iDEAL, Qiwi, Sofortuberweisung, Nordea, Trustly, and Skrill. You can deposit using the following currencies: SEK, NOK, EUR, USD, and PLN. English, Spanish, Italian, German, Norwegian, Finnish, Thai, Indonesian, Polish, Russian, French, Swedish, and Turkish. For any queries, contact customer care via Live Chat, Telephone, or Email.